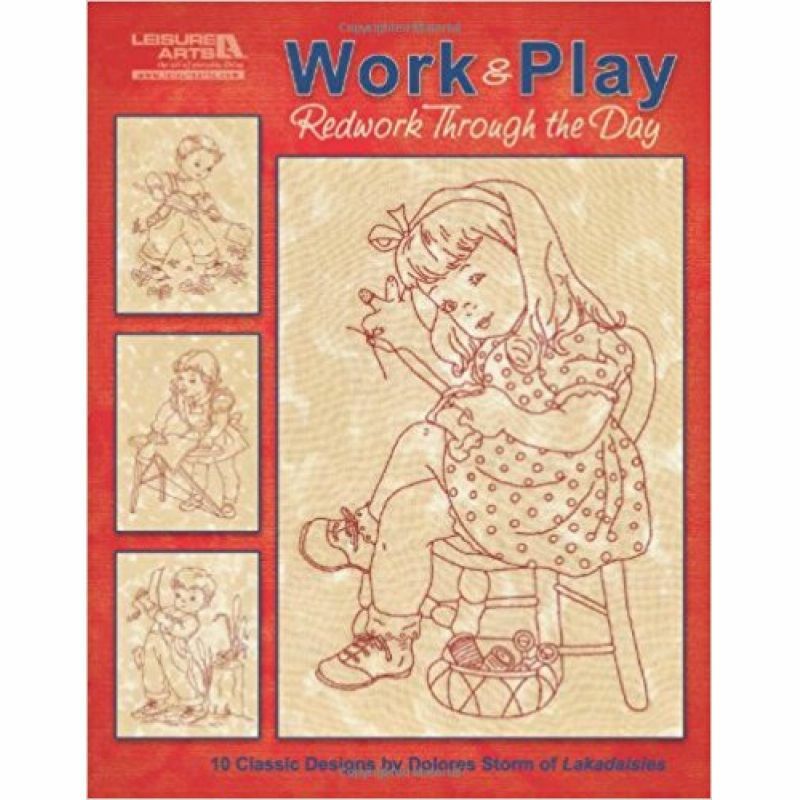 Work & Play--Redwork Through the Day (Leisure Arts #5274) presents 10 whimsical embroidery designs of youngsters romping, playing games, and doing chores. These irresistibly playful designs are from Dolores Storm of Lakadaisies.com, who has been winning the hearts of stitchers everywhere with her folk-art portrayals of childhood. Each fun design uses only one or two easy embroidery stitches. And did you know? 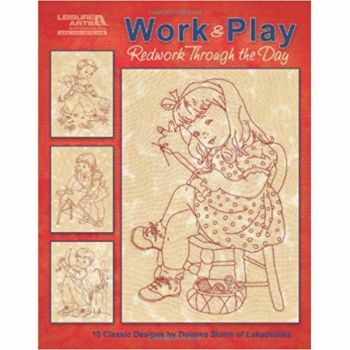 Redwork doesn't have to be red! Use your favorite floss color, and if you want, follow our instructions to use tea or coffee to dye your fabric for an antique folk-art look. 10 designs: Jumping Rope, Driving, Gardening, Ironing, Sewing, Wash A Dish, Along Came a Spider, Fishing, Rocking Baby, and Skating.